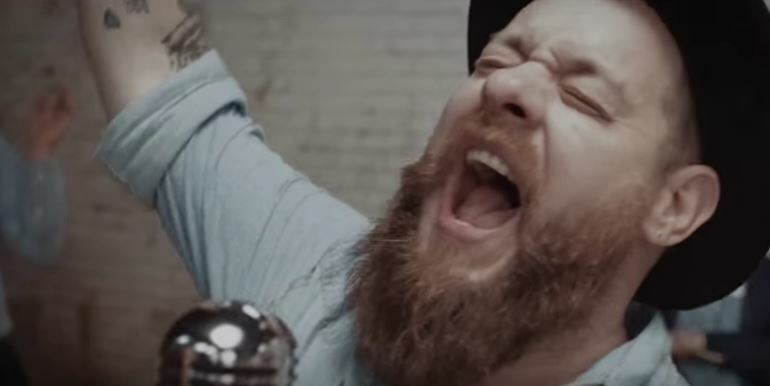 That the song — 2015’s S.O.B., by Nathaniel Rateliff & The Night Sweats — seems to be about an alcoholic at a make-or-break moment is completely irrelevant to the advertiser, of course, probably because of the catchy hook and the fact that it mentions drinking. And their product is something one drinks, so it’s a match made in heaven. Until you know the lyrics, maybe? 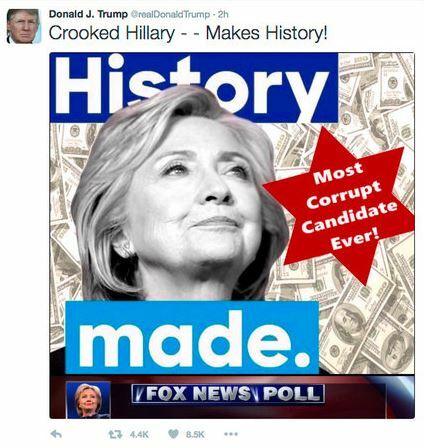 which included what many would call a Star of David (later changed to a red circle when they were called on it), signifers are not securely tethered to the earth; they float as freely as the interpreter’s efforts to make them work for their own purposes — such as those on the right who insisted that the reaction prompted by the tweet was evidence of political correctness had run amuck. So just what do symbols really mean? Might the better question be: Who is making the meaning — and yes, in this approach it is a constructive activity that requires creativity and labor — in what setting, for what audience, and for what purposes…? 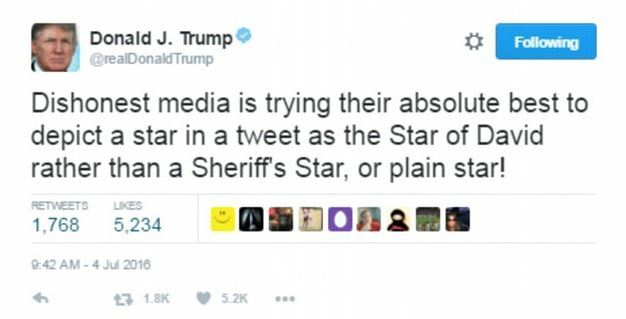 If those were our questions then what would we make of that Trump controversy? And might we start to see Twitter as one of the manufacturing sites where some of that work is taking place…? Oh, and here’s the music video for that song — you’ll see that it’s set in a prison. Quite some distance form the commercial’s colorful picnic. But does it matter? Apparently not to the Lipton executives. Symbols only work on a population that is educated or emotionally exposed to the symbol. For example, I know my 13 year old daughter has studied some World War Two history, read about Anne Frank and someother biographical and fictional books about the war, Hitler, genocide, and P.O.W. ; but when she was drawing the other day she was using the Star of David as the base of a character and to her it was just the way it was drawn. However, to me is see something different when that symbol is used. With history being dicounted and even wiped out by the distruction of monuments and historical sites (both here in the U.S.A. and by I.S.I.S.) , our society wants to rewrite and forget that everything happened. That is not the way to learn and grow. That is the way of making your children ignorant and setting the future up to make the same mistakes over and over. If all you can see is bad then you are not open to learning. 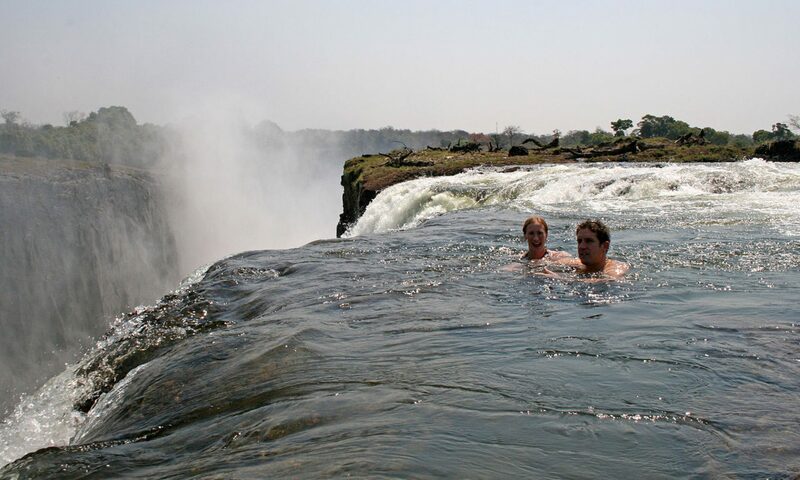 No learning, then symolisim becomes insignificant.